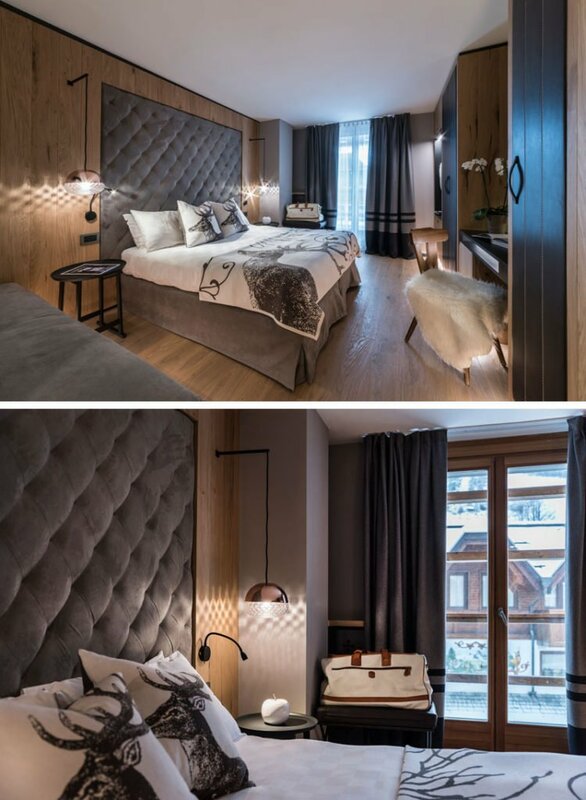 When architectural studio CaberlonCaroppi were designing the Majestic Mountain Charme Hotel in Italy, they chose to design the rooms with built-in headboards. In the Bedroom design idea, the over-sized upholstered velvet headboard has been built to be flush with the wood wall that surrounds it. 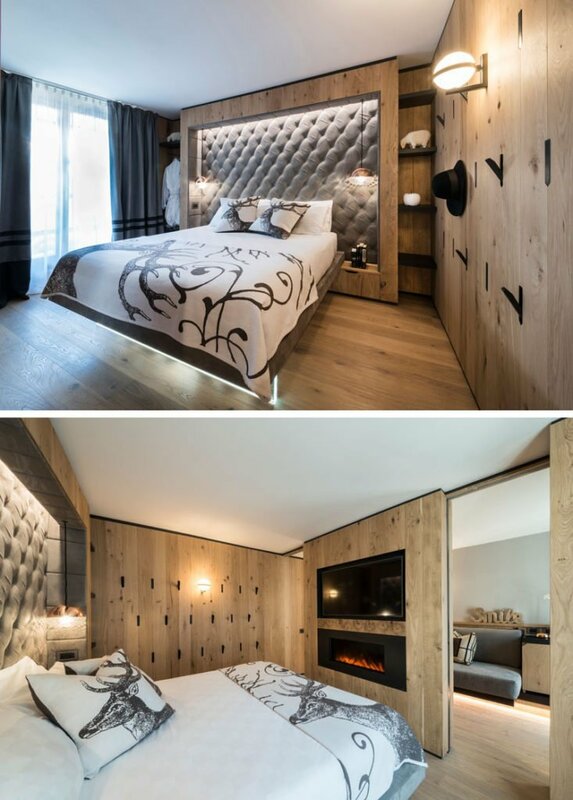 Also, looking the wood wall has been built out from the wall, creating a space for shelving either side of the bed, and also allowing an alcove to be created for the recessed headboard. 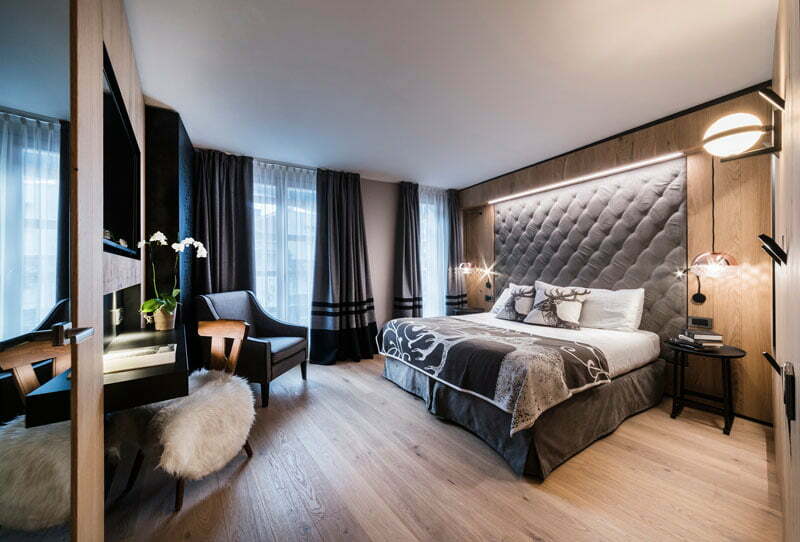 Hidden lighting and two hanging bedside lamps highlight the design of the headboard.